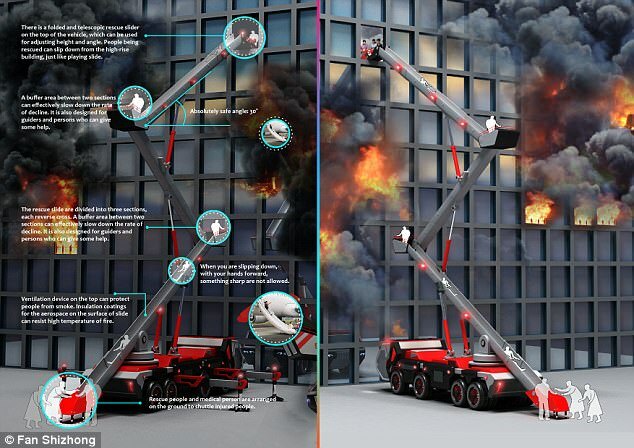 An engineer who has designed an innovative fire rescue slide said his vehicle could help save more people in a high-rise fire like the one that struck the Grenfell Tower. 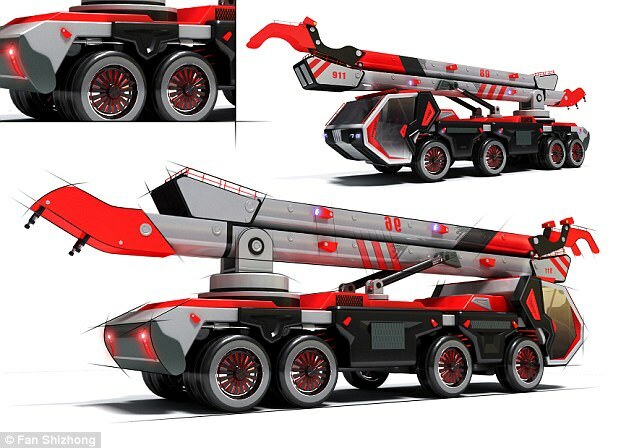 Fan Shizhong's Life Slide could reach up to 80 metres (262 feet) - 13 metres (42 feet) taller than the Grenfell Tower - and rescue four people every five seconds, said the Chinese engineer. Mr Fan's design has received many international awards, including the Red Dot Design Award, Germany's iF Design Award and America's Core 77 Design Award.